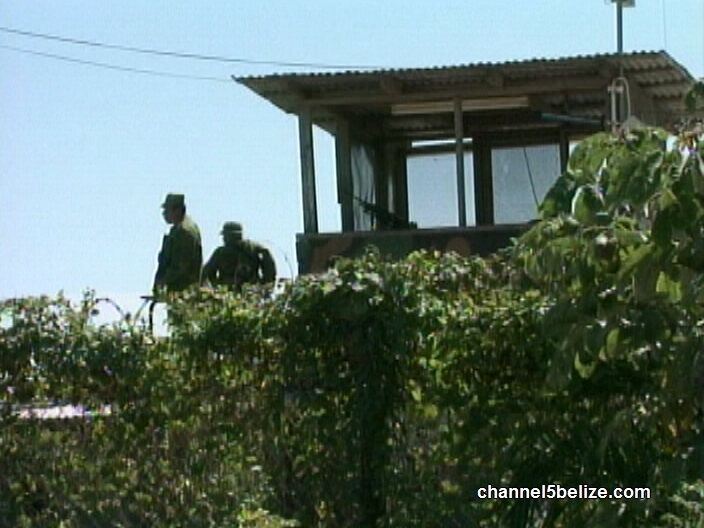 Who stole over 2,600 rounds of ammunition from the Belize Defense Force (BDF) storage bay? That is the question everyone is asking after news broke out on Friday January 23rd that ammunition belonging to the United States Government and stored by the BDF, was stolen, and more disturbingly possibly by BDF personnel. It is believed that the deadly ammunition has made its way to the streets of Belize. According to the BDF Chief of Staff, Lieutenant Colonel Raymond Shepherd, a regular patrol at the Echelon Storage in Lords Bank discovered a breach of the holding bay sometime around 1:30AM on Friday January 23. He explained that a total of 1,680 - 5.56 and 1,000 - 7.62 ammunition shells were missing. According to Shepherd, the last time an inventory was made was on December 7, 2014 and was 100% accounted for. "This ammunition, we have them as storage for our American counterparts who are here doing some training. So, the type of shelter or bay that they were in is not that type that we normally keep that type of ammunition in. We don't have enough information at this point to determine more or less when it occurred,” said Shepherd to a group of reporters when questioned about the missing ammunition. But how could it go missing and by whom? Shepherd said that while they are investigating the incident, they believe that it had to be done by BDF personnel with inside knowledge of where the ammunition was stored. Shepherd told reporters that the concerns from the public are understood because authorities believe that the ammunitions have made their way to the streets and may be in the hands of criminal elements. The ammunition is used in M-16s, M-4s and for the 7.62 – Self-loading rifles (SLR). It is believe that high ranking officers such as captains may be involved. ”We have systems and procedures in place and those procedures were breached, so we'll go back and do a check of our systems and each person that through their negligence facilitated this breach will be dealt with to the full extent of the law… Our survival as an organization itself depends on the trust and confidence that we get from the Belizean people we serve and when things like this happen, it definitely erodes the trust and confidence and so that is one thing that we definitely have to build back and work back to gain the trust and confidence of the Belizean people that this type of incident will not occur again." 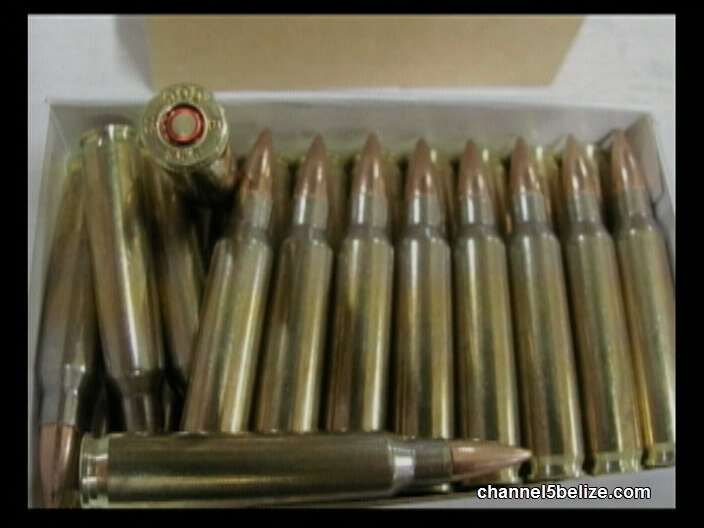 The United Nations has listed Belize as the third deadliest country in the world and as such, the missing ammunition that has possibly made its way to the streets of Belize is enough, and serious cause for public concern. In addition, it is not the first time that there has been a security breach at the facilities under guard by the BDF. In the past 10 years, there have been three other major instances of inside security breach. In May 2004, 24 of the L109A1 batch of British grenades were stolen and ended up on the streets of Belize City. Then in 2008, two BDF soldiers were charged for the theft of 1,340 rounds of 5.56 ammunitions which was found inside a vehicle they were in and in October 2011, 42 guns went missing from the Price Barracks compound. Neither the Belize Ministry of National Security nor American counterparts have commented on the incident.